Brunch is an ironic mesh of frivolity and necessity. On one hand, you need to eat. Breakfast is the most important meal of the day. Lunch is important too, and brunch is a combination of both. Killing two birds with one stone- who can argue with that? On the other hand, do we really need to indulge on copious amounts waffles piled high everything but the kitchen sink? And do we need mimosas and bloody marys with our food? That's the magic of brunch. It's the very fact that all these rules are broken, and that the limit to what you can have- is entirely up to your imagination. It's that sweet time during the week where you didn't have to wake up early and rush to work. You were able to leisurely wake up, get ready, and meet with your friends and loved ones to engage in gossip, complain about work, or celebrate a joyous occasion. 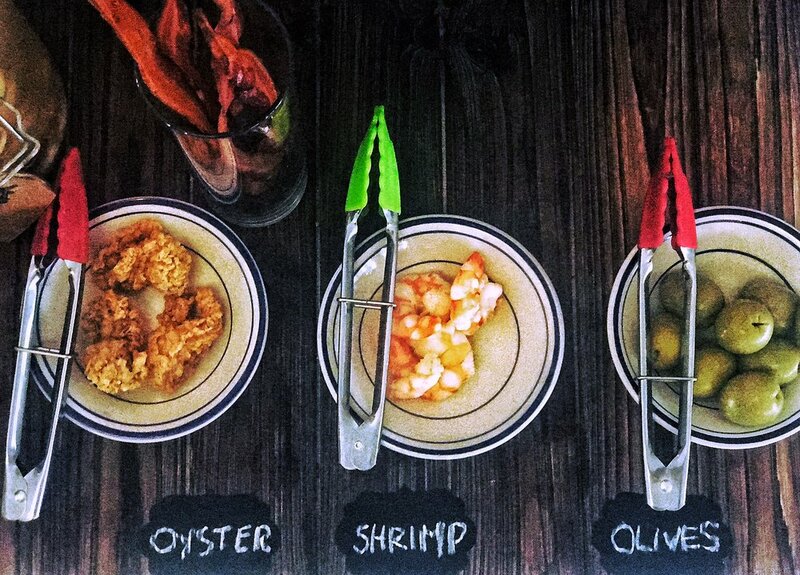 Since day one, the F.E.E.D TX restaurant group has had brunch service down to a science. 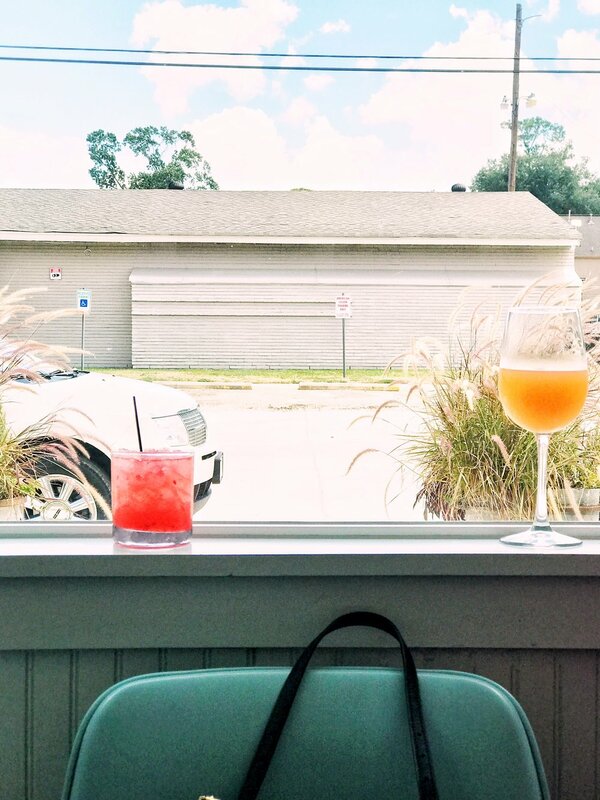 Known for their Liberty Kitchen concepts across Houston, each location serves up an innovative spin of comfort classics, all while reflecting the uniqueness of the neighborhood that they reside in. On a hot summer afternoon, I walked up to a quaint wooden house with pale blues, beiges, and jade. A kitschy wooden sign promised a "magical mystery detour", courtesy of Liberty Kitchen's newest concept in the Garden Oaks neighborhood. I was also amused to see a familiar sight- the red rooster statue from one of F.E.E.D's former concepts - BRC Gastropub. Yes, the rooster lives, and apparently it took two cranes to get him here. The interior of the restaurant is enveloped with a soft, natural light. Locals were scattered about the restaurant, and happy chatter mingled well with the music. A sliding glass panel door opened to a little annex where Liberty Kitchen was to host a special brunch for a group of Houston Bloggers. Might I add that it's a perfect spot for private party? 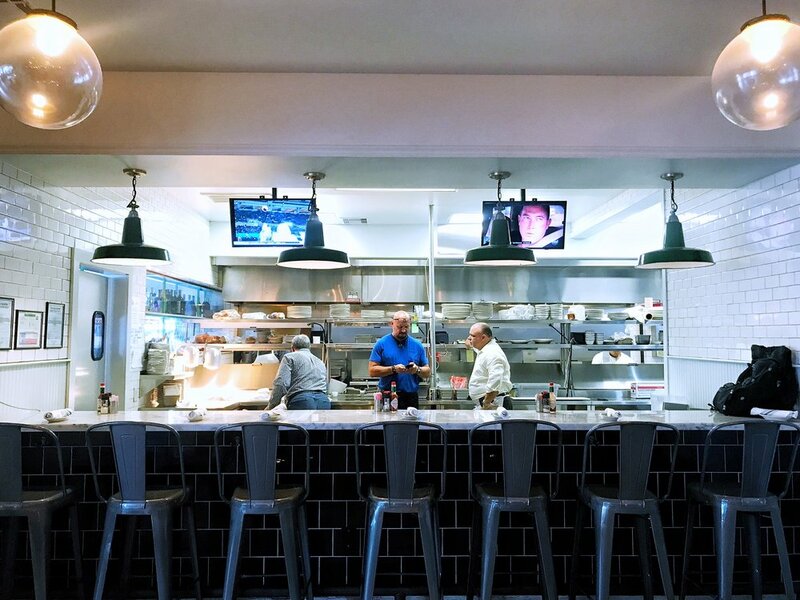 You can't really box in Liberty Kitchen as a "fancy" or "casual" restaurant. 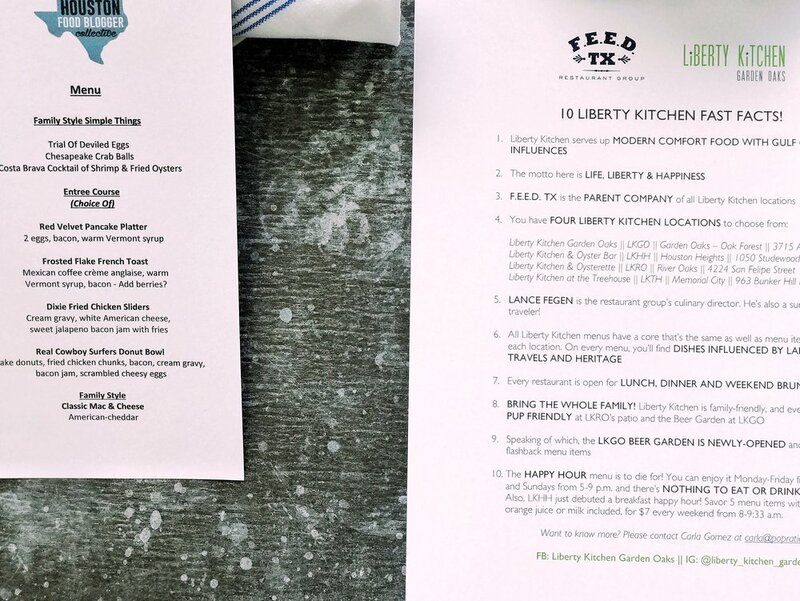 Lance Fegen, Executive Chef of the Liberty Kitchen restaurants, tells us that the menu and the concept of Liberty Kitchen is intended to be versatile and to cater to what you want it to be. You just want to meet your friends for drinks and appetizers? You got it. Fancy date night? You betcha. Casual dinner? Why not? An offering of brunch cocktails are passed around. Glasses of different shapes and colors- all with a warm hue stand out against the pale pallete of the room. There was the Portofino, with Tito's handmade vodka, solerno blood orange liquor, blood orange juice, and bubbles to perk anyone up in the morning. 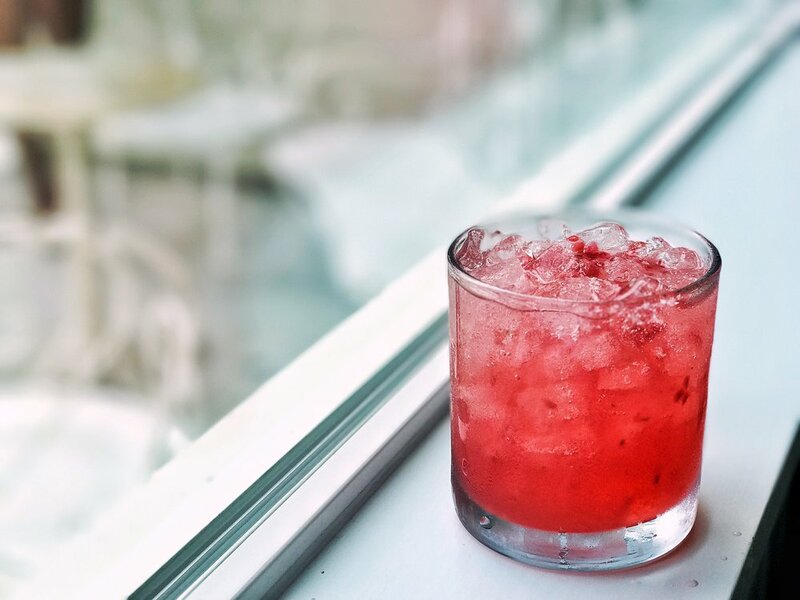 Say hello to the weekend with a West Candlelight- dripping springs vodka, crushed raspberries, st. germain, and fresh grapefruit. There are the classics- the bloody mary or the mimosa- and you can never go wrong with those. Might I add that for the bloody mary fans- there is a customizable bloody mary bar? you can add fried oysters, olives- whatever you like. 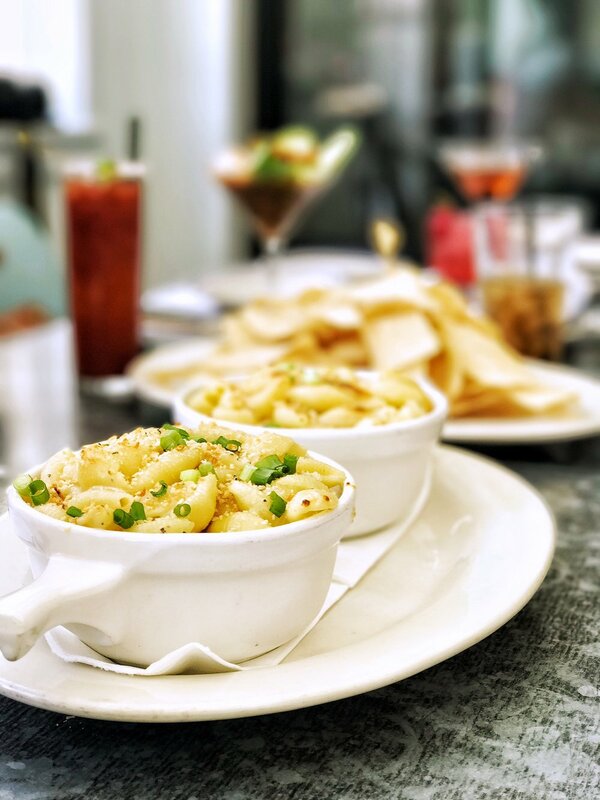 Gleaming, white plates piled high with fried morsels of deliciousness are graciously placed in front of us. I try the Chesapeake crab balls first - my teeth pushes through the delicate, crispy first layer to a mouthful of fresh lump crab meat. A sampling of assorted deviled eggs gleam at us, just asking us to try them all - one with smoked salmon, one with crispy chicken, another with a fried oyster. I of course go for the fried oyster deviled egg, and pop the entire thing into my mouth. Creamy, savory, crunchy, briny- you can't help but try and go for another. If you are a bit averse to the fried food thing - the refreshing Costa Brava Seafood cocktail will be right up your alley. With a couple of fried oysters on top- you can chose to be good- if you so wish. Fresh tortilla chips are also included so that you can scoop up the fresh tomato, shrimp, and avocado for a refreshing bite. If that wasn't enough to start- piping hot mac and cheese is carefully laid out. American Cheddar cheese, buttery breadcrumbs, and a light but luxurious sauce coating each and every pasta shell. I place a small amount on my plate to force myself to prepare for the main dish, but I find myself plopping another spoonful of mac and cheese onto my plate. And then another. We were given a choice between the Real Cowboy Surfers Donut Bowl - cake donuts, fried chicken chunks, bacon, cream gravy and bacon jam; Dixie Fried Chicken Sliders- cream gravy, white american cheese, sweet jalepeno, bacon jam, and the Frosted Flake French Toast- with Mexican coffee anglaise, Vermont syrup, bacon, and berries. The Frosted Flake french toast isn't too sweet like I expected it to be. The Frosted cereal gives satisfying crunch that gives way to the coffee anglaise soaked bread. For a nice contrast, I alternate bites of french toast with bacon or berries. Liberty Kitchen - no matter which location you go to - each has it's own special spark. The Garden Oaks location, for instance, feels like it's been part of the neighborhood for a long time, despite being open for just a few weeks. 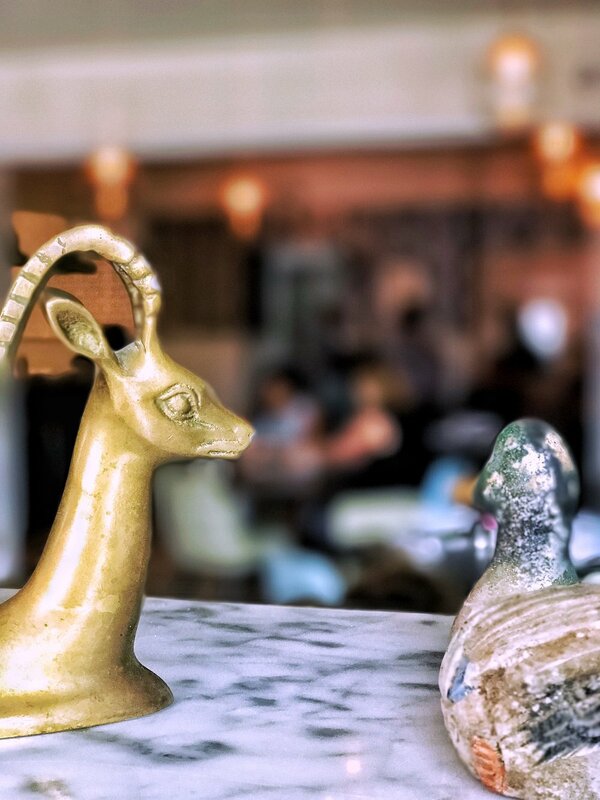 With a beer garden that's dog friendly- this new member of the neighborhood has it's doors wide open- and is ready to serve up delicious food, refreshing drinks, great conversation, and lasting memories. Special thanks to Liberty Kitchen Garden Oaks for having us- all opinions are my own.